Ready or not, 8K TV is here. Samsung is shipping them to the masses, and LG and Sony will ship later this year. If you’re still a bit fuzzy on 4K TV, then here’s what you need to know about 8K TV and if you should get one. One of the main features pointed out by TV manufactures is the number of pixels, or the little bits of the TV that make the picture. There’s no argument that when we went to HDTV from standard definition TV that the picture got clearer and had more detail. Old standard TVs had about 640 x 480 pixels and 1080p HDTV has 1,920 x 1,080 pixels. Now we have 4K with 3,840 x 2,160 pixels and 8K touting 7,680 x 4,320 pixels. That’s lots of pixels, but what’s lost in resolution specs is what’s actually needed. The human eye can only distinguish so much detail though. But before we get into that, there are basically two streams of thought for viewing TVs. For the movie industry (e.g. THX), they want a screen to fill your field of view; i.e. to immerse you into the video content. For most of us, we view much smaller screens; often from a living room couch. The fact is, if you’re far enough from a screen, it really doesn’t matter if you’re watching an 8K TV, 4K TV or even an HDTV. For an example 55” 8K TV, the ‘optimal’ distance would be 0.5m (1.7’). For a 55” 4K TV, this goes to 1.0m (3.4’). And for 55” 1080p HDTV, they recommend sitting 2.1m (7’’) away. Although everyone’s vision varies (and distances), it’s a safe bet to assume that most people are more than 2m away from their TV, so they could get away with an HDTV for this 55” TV example (in terms of pixels, anyway). Of course, for really large TVs and home theatre screens, the higher resolution (more pixels) might make sense. To complicate things, the smart people at NHK (Japan’s standard setting broadcast company), show that with the right brightness and lighting conditions, 8K TV viewing distances need to be adjusted when you take ‘realness’ into account. Basically if you show people an object on an 8K TV compared to a real object, people notice the difference even when viewing farther away. 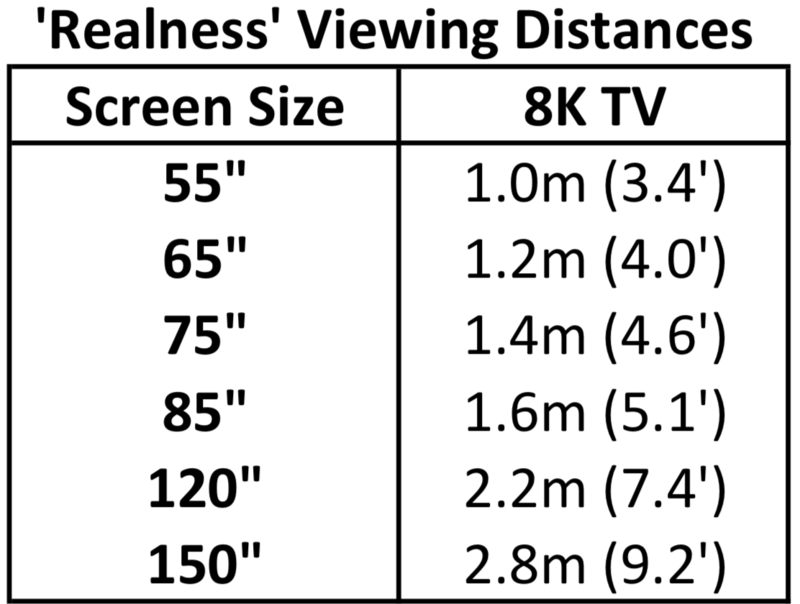 You can read more, but it comes down that for realness, 8K viewing distances are the actually twice the distance vs. if you only take discerning pixels into account. Either way, it’s unlikely many of us will be sitting that close in a more casual viewing situation like our living room. But that is not the full picture (sorry, pun intended). 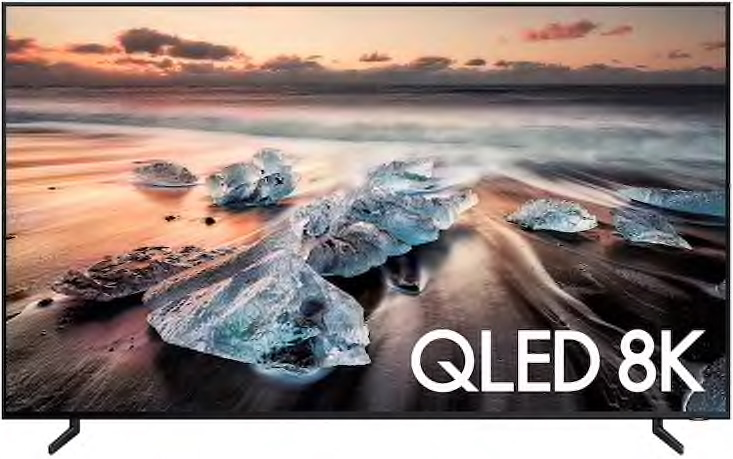 Like with 4K, 8K TVs will come with picture quality improvements. Since 8K TVs will be their flagship models, manufacturers will make them with their best colour reproduction technology and best brightness. They’re also using spiffy processors in their higher-end TVs that make all content look better. This is handy as there is little 4K content let alone 8K content to watch. NHK will be broadcasting the Tokyo 2020 Olympics in 8K, so we might get some if that content though. Samsung suggests that by getting their latest 8K TV you’ll be future proofing your system for, well, the future. That sounds good, but early buyers of 4K TVs got bitten when HDR and HDMI 2.1 got properly figured out after they bought their TVs. Early adopters are often at risk with technology. If you have the money and need a really, really big TV, then it might be time to get an 8K TV or 8K projector. Like 4K, there may be updates in features and compatibly though, so there is risk. As 8K prices comes down, they will be become more common and accessible for all buyers. As with 4K TVs today, to get a better TV, you’ll soon likely be looking at a 8K TV. Even if the number of pixels isn’t important for your situation. For example we usually recommend 4K TVs regardless of viewing distance, as the overall viewing quality and features are so much better than HDTVs. The same will eventually be true for 8K TVs as well. Sonos has been pretty busy of late. They’re bolstering their streaming music portfolio with additional products. Last year, they released a more affordable TV sound bar, and recently they updated with their Amp. Now, they have announced branded architectural speakers. Sonos is already great when used with architectural speakers. People get great sounding streaming music, and the speakers don’t visually impact a room. Architectural speakers are passive speakers (they need a separate amplifier) that are installed in ceilings and walls, so there is no need to have regular bookshelf or floor standing speakers in the room. This is great not only for current modern home aesthetics, but they also save valuable floor space. Sonos has announced three speakers: in-ceiling, in-wall and outdoor speakers. Sonos partnered with Sonance, a respectable speaker brand, for these speakers. These ‘matched’ speakers make it easier for consumers to understand and select architectural speakers if they’re the DIY types. The Amp also enables Sonos’s Trueplay which allows for easy speaker sound optimization. Other speaker brands will continue to sound great with the Sonos Amp, but these will help make architectural speakers more mainstream. 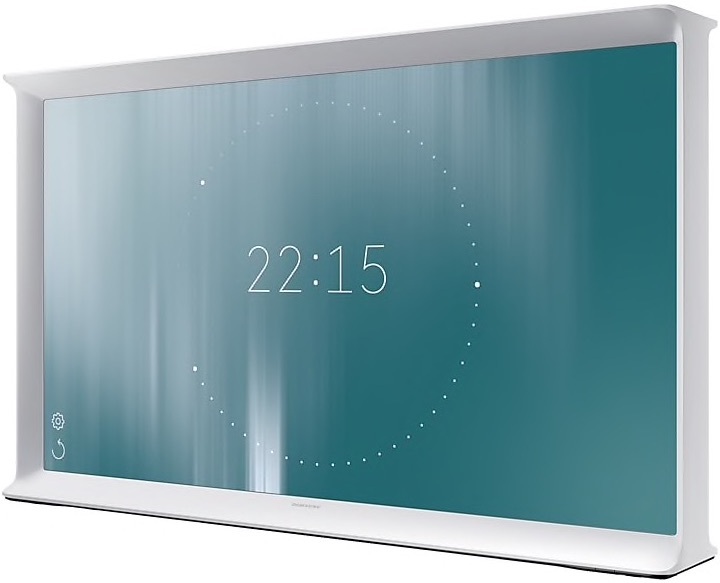 Sonos recently also showed off some product prototypes that they have partnered wth Ikea for. The intent is to make Sonos compatible speakers more affordable and widely available. Sonos also quietly stoped selling their Play:3 speaker, so we suspect an updated version may be on the horizon. While we’re fans of Sonos, they’re not the only great streaming music solution out there. These recent updates are great as it pushes all brands forward and provides more great streaming music options available for consumers. Sonos is replacing the Connect:Amp with their Sonos Amp. Unlike their standalone speakers such as the Sonos One, the Sonos Amp can be connected to stereo speakers or other speakers. For example, we often use it with in-ceiling speakers in homes. Its currently available to integrator people like us, and will be available to Canadian shoppers in February. The new Sonos Amp has most of the same connection options as the Connect:Amp (speaker connectors, left/right inputs, sub output, two Ethenet ports). It also adds an HDMI connector for TV connections. Overall it looks like a nice update – let’s take a closer look at its main features. The feature that most people will notice is that they’ve bumped up the power to 125W on each side from the Connect:Amp’s 55W. While most people don’t need the volume from the extra power, it should help improve the sound even at lower levels when parts of music need more oomph. This will be particularly handy if you’re using it with four speakers, such as four in-ceiling speakers. We think the Amp is most likely to find its spot hidden away in a technology closet in a home, but it can happily be placed in a living room. If you want to use it with your TV, it has a HDMI connector for TVs with an HDMI ARC output. You can start with just your stereo speakers (it emulates a centre channel). You can then add other Sonos speakers for surround sound. It also has an IR sensor so you can use your remote control for the volume. We suspect some of the Amp’s best feature’s are yet to come. Since it’s a new platform, there are features that can be added in the future. For example, it’s compatible with Apple’s AirPlay 2 unlike the Connect:Amp. We look forward to the possibility of native support for other smart devices such as smart doorbells. While many see the Sonos Amp as an ‘integrator’ focused device, it should slot in with the same kind of people who are using a Connect:Amp with their stereo speakers. We’re currently testing ours with our turntable setup, and so far, so great! We look forward to using it in our clients homes to harness the increased output power and future technology options. Automated shades are an increasingly popular choice for home owners. Whether it’s for convenience, privacy, energy savings, or just as an upgrade, automated shades add a nice touch to your home. While a lot of the decisions are around aesthetics like any window covering, there are more details to think about with automated shades. Let’s review what to consider for automated shades. Start with what type of automated shade you are looking for, e.g. roller shades, honeycomb, etc. Sometimes aesthetics will dominate, so you’ll choose your window coverings weighing the right look over other features like maximizing energy savings or privacy. For example, since honeycomb style shades have a built in air pocket, they have better insulating properties over roller shades. Before you choose your fabric, you should consider how much light and privacy you want from your automated shades. Fabrics are grouped in three main categories: sheer, translucent and opaque. Sheer allow you to see your outside view and lets lots of light in; the flip side is that they don’t offer much privacy. Translucent shades soften exterior light and provide more privacy, but won’t allow you much of an outside view. Opaque fabrics block light and provide maximum privacy – for example, nice for bedrooms and media rooms. Once you have an idea of the fabric group, then you can look at colour, styles and textures. All shades will help keep a house cooler in the summer (ie shades down during full sun), and warmer in the winter (shades up during day, and down at night). If you are looking for extra insulation from your window coverings, you should pay closer attention to the “R value” of a shade. R value is a measurement of thermal resistance – basically, how well something does at insulating. Automated shades can be powered by battery or wires, or you can go completely manual. Battery powered is the easiest way to power automated shades, especially if you’re not able to realistically run power wires to your windows. Note though that while batteries should last years; e.g. Lutron expects 3-5 years under basic daily use, you will have to replace batteries eventually. If you’re building or renovating your home, we strongly recommend running power wires to each shade. This takes batteries out of the equation – especially for hard to reach areas. Wires also give you more flexibility on fascia choice (see below). Most shades use low voltage wiring (and power supplies can be out of the way, such as in a basement), but some require regular house voltage. Make sure you know which you have chosen, as if you’re using regular house wiring, you’ll have to make room for an outlet. Manual shades come in handy for areas where you don’t want or need automated shades, or for windows that are too narrow for automation. Either way, if your chosen manufacturer makes both, you can choose manual shades and still have them match nicely with your automated shades. For control, some shades are controlled wirelessly and some require control wires. If your chosen system requires control wires, make sure you know what your wiring needs are before you close up your home’s walls for good. Fascia options depend on the manufacturers. They cover the roller and any shade mechanisms. Most have options for no fascia, fabric fascia or box (architectural) fascia. You can choose no fascia if you plan on building a recess for the shade or like the look of a shade roll. 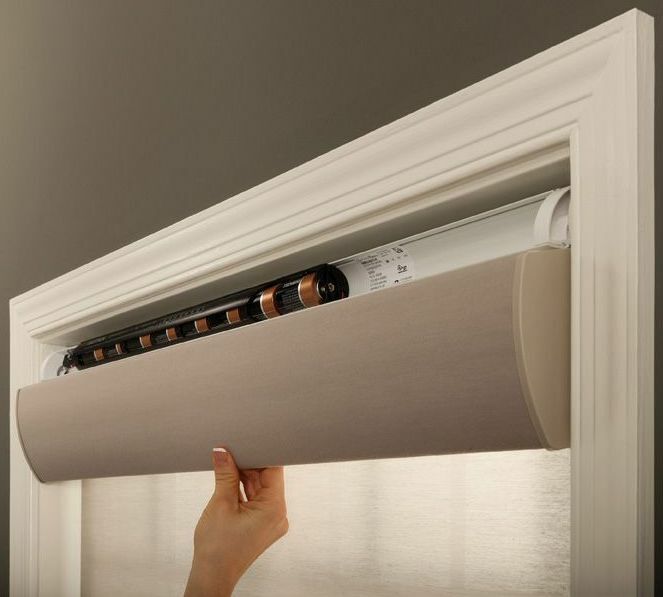 If you’ve chosen to wire your shades, the headrail will likely be much smaller than one with batteries – this will make it easy to hide or simply ignore the shades without needing a fascia. You can decide to mount your shades inside your window frame or outside it (i.e. above your window frame). If you choose inside your window frame, careful measurements must be made to make sure it will actually fit inside. If you want it mounted outside, you have to consider mounting on your window trim, or check that the shades come with spacers so they can be mounted to clear your window trim. While the measurements for outside of your window frame are a bit easier, you still have to make sure they are measured to fully cover the window. When you choose roller shades, you can also decide if you want regular or reverse roll. Reverse roll can provide more clearance for things like window and door hardware. The last big decision you have to make is how to control your shades. You can decide from a simple remote control, remote control and smart phone app, or remote control and integration with smart home control. There is a growing collection of shade products that are compatible with consumer DIY yourself systems, so you can dig into those if you like. If your system is large, it makes sense to get some professional help. Note that not all shades behave the same. Some only open and close with one or a couple set points (e.g. 50% open). Maybe this is all you need, but if you are the type to have your shades 23% open yesterday, 100% today, and 89% open tomorrow, you’ll want to make sure your chosen shade supports infinite open/close settings. If you want to group a rooms shade to open and close in sync, make sure the system supports that. There are lots of shading vendors to choose from, so choose one that works for you and your home. Check to see what other feature are available when you narrow down your automated shade choice. For instance, is it alright if you manually pull on a shade and have it still work with automation? How loud are the motors when the shades are opening and closing? Do you have a preference on the hembar style? What’s the warranty? With a bit of effort up front, you can have automated shades that give you great value in your home for years to come. We’re a family of music lovers – we go to a fair amount of live shows, and music is always playing in our home. But I wanted to add vinyl records back into the mix. It was super easy to stream vinyl records in our home, and it sounds great! Let me explain. Our home is sometimes a bit of a home tech laboratory, as one might expect. For the most part though, we use Sonos for most of our day to day listening. 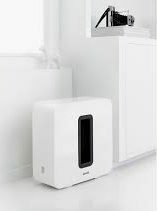 We use a mixture of Sonos Connects, Connect:Amps, Play:1 wireless speakers, and even a Sub. Deezer is our go to streaming service as it offers high bitrate music for improved sound quality. Streaming radio is also frequently played as well. We find that the lower bitrates of streaming radio does tend to be a bit fatiguing after a while though. 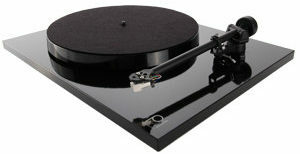 I decided to try out a Rega turntable as they are well known for offering high-end sound at affordable prices. When the Rega RP1 arrived, I temporarily set it up in our living room using the living room Sonos Connect:Amp system. I used a Rega Fono Mini A2D phone stage to mate the phono levels for the Sonos Connect:Amp. You should set the streaming system input to its high quality setting if available. In my case, I set the Connect:Amp to Uncompressed Line-In. I have a rock solid home data network (of course! ), so I’ll take higher network traffic for better sound quality. Honestly I wasn’t expecting much, as the living room gear is good, but it’s not ‘audiophile’ by any means. When I started playing records though, it was immediately obvious that the sound was amazing. The Rega RP1 and Fono Mini A2D are widely well reviewed, and our’s showed why. They are just simple, great sounding audiophile components for value minded people. 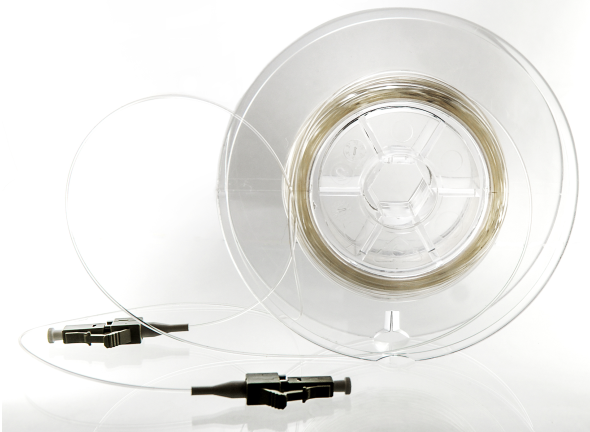 Not to kick off another debate about vinyl sounding better than CDs, digital music, etc., but our records sound great. As a bonus, we’ve been listening to whole albums again. Another great thing with the wireless streaming systems like our Sonos system, is that you can also group in other rooms if you don’t want to stay in one room. Manufacturers like Rega recognize people may want to stream vinyl in their homes, so they also offer turntables like the Rega Planar 1 PLUS. Its an all in one unit (turnable & photo pre-amp) that mates well with streaming systems, computers, etc. Audiophiles may be put off by our system, but for regular music lovers (and ones on more modest budgets), it’s a great way to get the best of both worlds: you can dust off those vinyl records and play them with the simplicity of streaming music systems. Really, whatever level of music lover you are, its about enjoying music. In the end, our turntable has become a permanent fixture in our living room. While we still stream digital music often, its fun to put on albums too, especially on the weekends when we have a bit more time. People are listening to more music, often using streaming music. Many have music (and surround) speakers discreetly installed in their living spaces. Frequently this involves installing ceiling speakers. While they can sound great and are hidden in plain sight in the ceiling, there’s something missing,.. true low-end bass. This includes the low-end dance beat or the rumble from a movie explosion. These low-end sounds require subwoofers. But, there are ways to hide subwoofers too. Speakers need to be physically large to create proper bass – blame physics. Even with the technical sorcery that manufactures build into their products to make small speakers produce surprising bass, they just can’t hit the true low notes. Its not just for dance music aficionados or action movie fans, good bass helps better fill sound in the room and is more pleasing to listen to (often without specifically noticing ‘bass’). We always encourage people to consider a discreet subwoofer (or completely hidden) whenever possible. 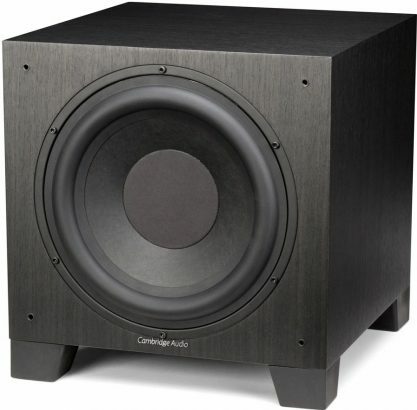 A standard subwoofer needs to be large to properly produce proper bass – especially if you want explosion feeling bass. A true audiophile or cinephile will require a ‘proper’, read very large, subwoofer. In these cases, aesthetics often lose to sound. It doesn’t always have to be the case though. If you’re building or renovating, often some planning can greatly minimize impact to your living space. For example, its sometimes possible to cloak subwoofers with end tables or cabinetry. Often this doesn’t work for a room though, so we have to look to the next two categories. In-wall and in-ceiling subwoofers only need the speaker itself exposed. All the electronics can be hidden in some other part of the home. Some in-wall subwoofers use the space in the wall as part of the speaker to create great sound. Others like in-ceiling subs have the speaker cabinets hidden in the ceiling. Our ears can’t perceive where bass is coming from, so we often ‘hide’ speakers low to the ground behind furniture. Even if exposed, they’re usually barely noticed – like a vent cover. While you can get audiophile or cinephile grade in-wall subwoofers, even a reasonably priced setup can really open up the musicality and sound of a room. Sometimes you’re in a bind – perhaps you want to more bass, but you can’t plan for a standard or in-wall/in-ceiling sub. Here you can look at clever subwoofers that are either small or non-standard shaped. While this category of subs can’t play as low as the others, they definitely improve the sound without a large visible presense. For example a small sub can easy be placed under an end table. 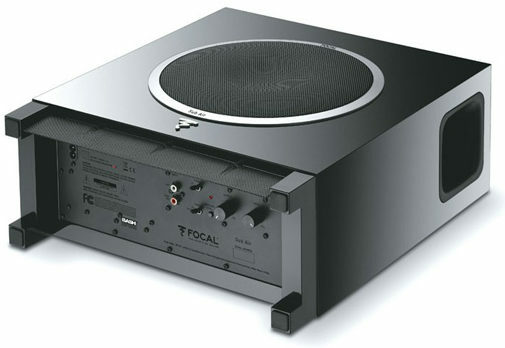 You can also consider one like the Focal Sub Air that is just over 6” deep. If you’re a Sonos fan, their Sonos Sub is also just over 6” deep. These and others are wireless if you can’t run cables. Some are available in black or white to help blend into your decor as well. These can be placed under or behind furniture as still sound great. The addition of a good subwoofer will help improve the sound of home music systems. Depending on your situation and budget, from building to simply adding a wireless music streaming system, there are many subwoofer options available. With some planning, you shouldn’t have to compromise your home’s sound system. Renters often feel left out when its comes to home tech. Much of it is very custom and is often permanently installed. It doesn’t matter if you live in an apartment or a house, there are many things that can be done that are both non-permanent, and more importantly, easily repurposed in your next place. 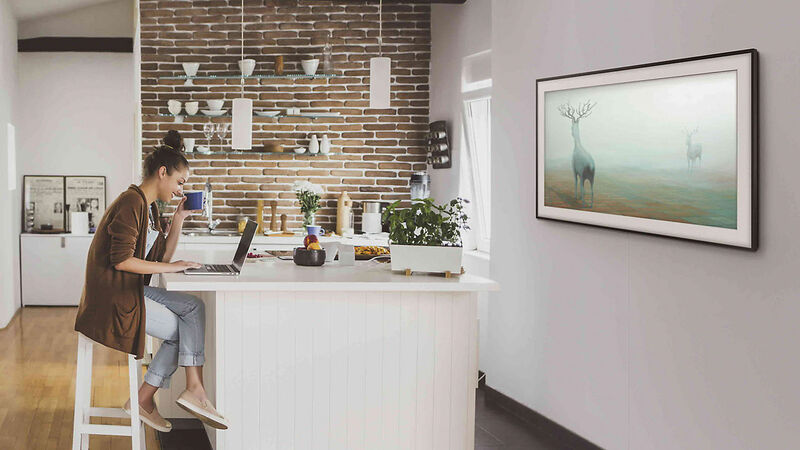 Here are some home tech ideas for your rental space. Wireless music systems are everywhere, so if you don’t already have one, its likely time that you jump on board. There are lots of great systems from Sonos to Heos to Bluesound. Just check your needs; i.e. wireless speakers, sound bar and/or components. Also, how do you want to stream music? By Bluetooth, Airplay 2, propriety (e.g. 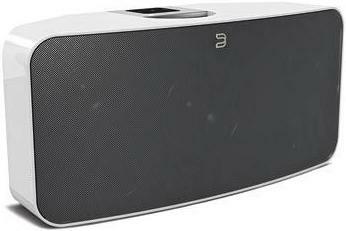 Sonos) – or a combination of these? For example, Sonos supports its own streaming system (of course), and it also recently added support for AirPlay 2. If you want to layer on voice control to your home tech, there are basically three families – Alexa, Google and Siri. Be aware which your device supports – e.g. Sonos currently supports Alex and Siri on some of their speakers while Sony supports Google on TVs, etc. Most of us already have some pretty killer, large smart TVs. The next step is to update the sound systems in your viewing room. The good news is that there are more and more companies providing great sound systems to take your system to the next level. These usually consist of a sound bar and wireless surround speakers and subwoofer. 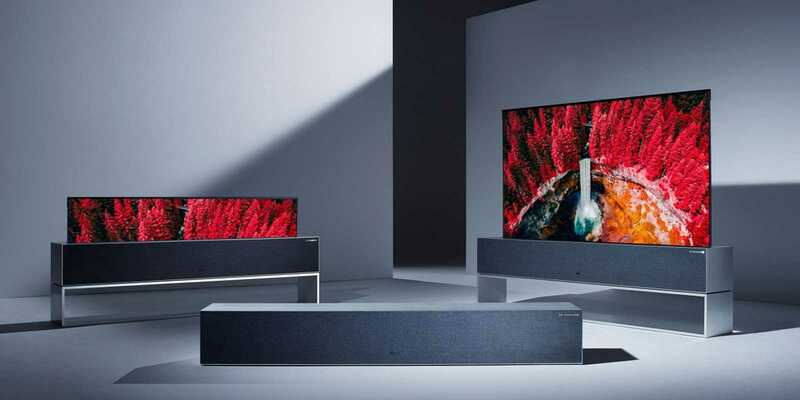 If you’re already hooked on Sonos, then you can start with something like their Beam surround set, or go bigger with the Playbar set or Playbase set. Other manufactures like Sony even have startlingly good Dolby Atmos systems that will rock your world (and possibly your neighbours). A projection TV system is not as outrageous as it sounds. The easiest option is to use an ultra short throw projector (like this basic one or this 4K one from Sony) that sits next to your wall. These can be pricey, so you could consider a regular projector. If you can’t run an HDMI cable to the back of you room for the projector, you may be able to use a wireless HDMI converter – not ideal vs. a wire, but will often work for short distances. Of course its best to project on to a screen (fixed or motorized), but you can get reasonable results onto a regular wall if its in good shape (and colour) and you don’t want a screen in your living space (especially if it doubles as a your living room). Unless you have a small place, its likely that you can benefit from better Wi-Fi coverage. If you’re renting a place that doesn’t have ethernet wiring, you can get a lot of mileage from a mesh Wi-Fi system. There are many smart lighting products that don’t require re-wiring. These include Philips’ Hue, Belkin’s Wemo and even some of the Lutron’s Caseta products. These are either lightbulbs, lights or plug-in module that you can control with a smartphone or optional remote controls. 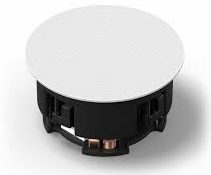 Depending on the device, it may require a hub and/or work with various platforms such as Apple’s HomeKit or Samsung’s SmartThings. If you’re looking for something with a bit more control, and you’ve got the clearance from your landlord, then you can look at in-wall devices such as ones from Lutron and Leviton. Just be aware that its recommended to have an electrician do the install of the in-wall devices (and replace the old switches again when you want to move out). These just start to scratch the surface of what’s available. There are other devices like surveillance cameras (like from Nest), Z-Wave sensors (like from Fibaro) and vacuums (like from iRobot). From fun to security, there seems to be almost everything available. There are more devices coming almost daily that is reasonably priced and easy to use. Choose what you want to do, choose your home tech ecosystem, and then have fun! All of your tech gear, from TVs to smart home devices, needs to be communicated with to do the great things they do. Not too long ago, you could do this with a basic remote control. If you wanted to simplify your system, you got a (sometimes not-so-simple) universal remote that was able to control your TV, VCR (remember those?) and sound system. These days, there is a plethora of ways to communicate with everything from TV to smart home products. Here’s a crash course on the more common home control technologies that are used these days. There are two basic categories of device control: one-way and two-way. As it sounds, one-way controllers only talk one-way – they don’t listen to check if they were heard or understood. An old school TV remote is a one-way device. 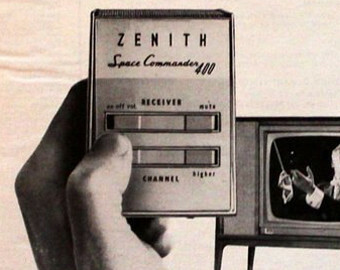 You point it at your TV and press a button, like a channel button. If you pointed the remote mostly towards the TV and all worked well, the channel would change. The remote has no idea if anything changed. That’s up to you – if it didn’t, then you need to press the button again. Two-way controllers both talk and listen. You can use two-way devices to have a ‘conversation’ and confirm that the task was completed. The device can even send back information like what its volume currently is. The more common one-way home control technologies used are IR and RF. IR, or infrared, is light that we can’t see. It is used to carry control signals. Since its light, devices need to ‘see’ their remote to work. Otherwise its pretty robust and is used for devices like TVs, sound systems and cable boxes. RF, or radio frequency, controls put the control information on radio waves. These are similar to IR, but with the added benefit that radio waves can travel through walls and cabinet doors, etc. When one-way technologies fail, like in the channel change example above, you have to correct for it manually. For a simple system, like a TV and cable box, this usually suffices. (Not always, though: the elderly lady down the street often gets stuck in a cycle where her cable box is on while her TV is off, and vice versa.) For more complicated systems with many devices, you need to make sure that all the devices got their messages. Otherwise, results can and do vary. This is where two-way systems can overcome issues and ensure home tech bliss. Two-way home control technologies provide a much more stable interface since the controller can get a response from the device to ensure all is good. Common two-way technologies include RS-232, IP (Internet Protocol – wired or Wi-Fi), Z-Wave, ZigBee and Bluetooth. Note that Wi-Fi, Z-Wave, Zigbee and Bluetooth are all wireless technologies. These can work fine as long as devices are within the specified distances, etc. RS-232 and wired IP are usually preferred, as you don’t have to be concerned with wireless coverage issues. But, of course, you do need wires. 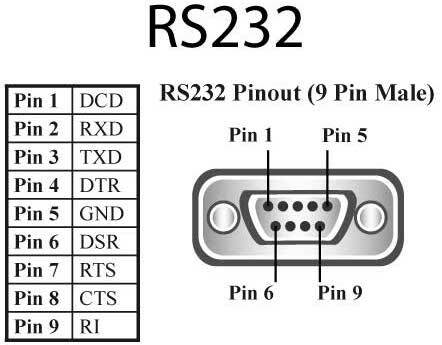 Interestingly, RS-232 is actually a very old computer communications standard (from the 1960s! ), but its still very capable and usually preferred by home technology professionals to control devices. The reason is that controlling devices doesn’t require much data or fast speeds, so the ol’ reliable RS-232 can still keep up with our latest technology. Its usually preferred even over wired IP, as then control doesn’t have to compete with other data, such as streaming Netflix video. That said, the ubiquity and consumer friendliness of IP makes it the go to for modern smart home systems. Obviously with a wireless control technology though, you don’t need to run wires around your home. The smart home system you choose often dictates the home control technology. Often people don’t consider the future headaches when choosing a certain technology for the wrong situation. Its not a coincidence that long term stable systems use a wired two-way control technology, especially old, boring RS-232. 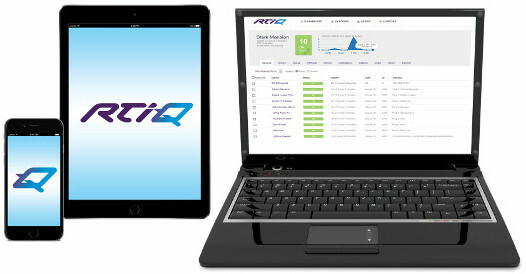 A good control system, like from RTI, will work with many or all of the home control technologies, so you can mix stable products with convenient wireless ones where the scenario makes sense. Either way, when implemented properly, you can harness their technologies to make a very complicated system a snap to use.